Emily Hamper is well known throughout Canada for her exceptional skills as a vocal coach and accompanist. Singers from her coaching studio perform with major opera companies and symphony orchestras around the world. She is highly sought-after as a collaborator for recitals, and has worked as a rehearsal pianist and assistant conductor for many prominent opera companies and organizations. Her 2013-14 season features recitals for Music Toronto and L’Opéra National de Paris with baritone Phillip Addis. At the invitation of Dolora Zajick, she joins the faculty of the Institute for Young Dramatic Voices in the summer of 2014. A review of her recent recital at L’Opera National de Paris asserts: “The extremely difficult piano part was perfectly realized by (…) Emily Hamper, a very authoritative accompanist throughout the concert.” (Concertonet). Ms. Hamper has recently been engaged by the Muskoka Opera Festival, Calgary Opera, Opera Atelier, and the Orford Festival. She has also served on the faculty of Wilfrid Laurier University, the Vancouver International Song Institute, the University of Toronto, L’Université de Montréal, and the Banff Centre. Her performances have been broadcast on CBC, Radio-Canada, Classical 96.3 FM and Vermont Public Radio. In 2011 she was awarded the Best Collaborative Pianist Prize at the Eckhardt-Gramatté National Music Competition and accompanied first prize winner Erica Iris Huang on the national winner’s tour. 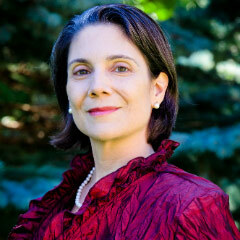 In addition to her work with singers, Ms. Hamper performs frequently as orchestral keyboardist with the Kitchener-Waterloo Symphony. Emily was born in Vancouver and received her undergraduate musical training at UBC. She furthered her studies at the Opera Division at the University of Toronto, where she was hired as a staff coach upon graduation. She is an alumna of the prestigious Merola Opera Program, and in 2002 was awarded a Merola Career Grant for studies in Munich. She currently lives in Stratford, Ontario.